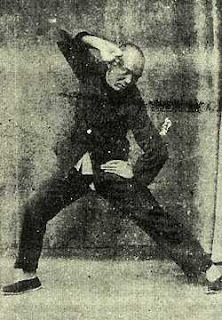 The physical strength of Fu Zhengsong is evident. 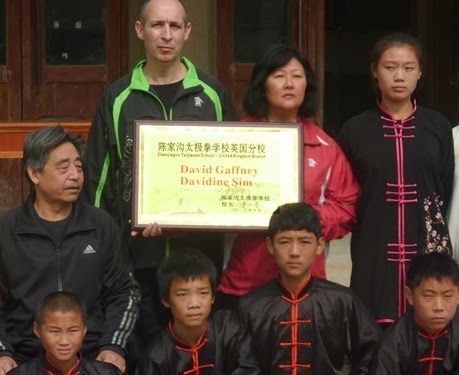 To the average western Taijiquan student neigong or "internal training" can seem esoteric and is often over-emphasised. In Chinese Martial Arts: A Historical Survey Brian Kennedy and Elizabeth Guo describe internal training as follows: "Neigong includes exercises to train such qualities as coordination of muscle groups to act as a single "whole", the ability to coordinate the breathing along with movements and the ability to stay relaxed and responsive in a confrontation. These exercises are called "internal" because they do not involve any obvious external actions". But all traditional Chinese martial arts involve a balance of internal and external methods. Without an external basis this internal development is of limited value. ""Coordinated strength" means nothing if you don't have any strength to coordinate". While these past Chinese teachers did express themselves in flowery terms, I think we get the picture - at the end of this first stage a practitioner is strong and agile. 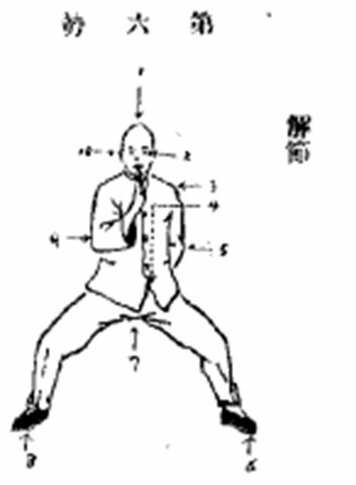 While this probably sounds heretical to many Taijiquan practitioners today, Chen Zhaopi was adamant that: "If first you don't train this type of brute jin, the body's joints will not be opened up and flexible. As a result, the neijin (internal energy) cannot be stimulated". successfully apply the qualities of rooting and sinking against a 110kg opponent! Only when the first stage was complete were practitioners deemed ready to enter the second stage of working towards understanding neijin. Since he was responsible for training the current generation of Grandmasters from Chenjiagou his advice is probably worth listening to. 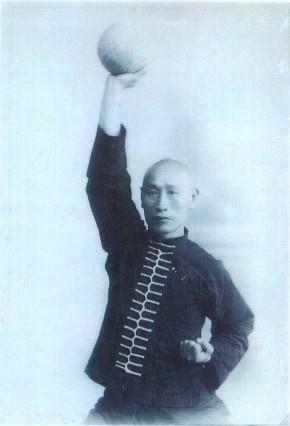 This is in line with a previous post where Chen Ziqiang listed the four qualities necessary for success in traditional Chinese martial arts as: strength, constitution, technique and finally gong. Taiji in a digital age!!! "The nature of the Internet and other digital media is to encourage us to take in as much information as quickly as possible. What the net doesn't encourage, and I think what it is stealing from us is the ability to engage in calmer, more attentive ways of thinking, the kind of thinking that requires us to screen out distractions rather than indulging them. It's not just deep reading, it's also contemplative and reflective kinds of thinking and introspection. As a society, I think we are devaluing calmer, more focused ways of using our brains". This presents a serious challenge to today's Taijiquan players. Talking to the current grandmasters it is clear that they faced many challenges on their own journey - famine, political upheaval, poverty.... It is also clear that in better times, life in Chenjiagou had few distractions and a slow and calm lifestyle that lent itself to the prolonged steady training through which the real traditional skill could flourish. In the same magazine there was another article in the business section citing"mindfulness" programmes that had been successfully introduced. By Olympics athletes, US marines and large corporations such as Google, Shell, GlaxoSmithKline, KPMG, Carlsberg... With the likes of the Harvard Business Review reporting on a modern epidemic of ADT - attention deficit trait - in the workplace, the article suggested that the need for mindfulness was an idea whose time had come. The symptoms of ADT cited included: distractability, impatience and difficulty with organisation and prioritising. Not traits likely to help one's Taijiquan development! At Taijiquan's core is the Taiji or Yin-Yang theory - the search for harmony and balance. In Daoist alchemy heaven, earth and humans are collectively known as the "Three Powers". Humans thrive to the extent to which they conform to the forces that mould and nurture them. It was said that: "Heaven is clear and calm; earth is stable and tranquil. Humans who reject these virtues perish, while those who adapt them thrive".Following its Daoist roots, Taijiquan asks practitioners to seek "ziran" or "the natural state". To do this we must accept the principle of gradualness - the long journey towards mastery can only be achieved gradually. Looking at the normal development of a person from infancy to maturity - each day they may seem the same as the day before, but if all their basic needs are met a fully functioning adult eventually emerges. Gradual progress from ceaseless effort! Taijiquan places great importance on fulfilling basic requirements which must be trained daily over a long period of time. We all know the rules - suspend the head, store the chest, relax shoulders, sink elbows etc etc... This is the core of Taijiquan skill and no amount of new forms and novel applications can replace it. 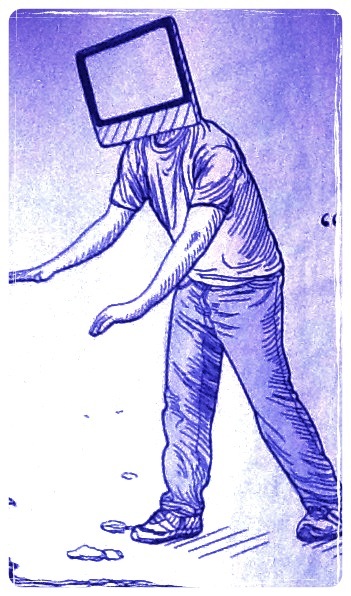 The following advice from Chen Xin's "Illustrated Explanation of Chen Family Taijiquan", reflects this inexhorable approach to developing real skill: "The Taijiquan practitioner must apply ceaseless efforts to make his mind aware of each tiny transformation taking place in the postures...one must establish full mental control over every movement: from the way one's hand commences a posture, to the area through which it passes, and up to its final resting place". This can only be achieved gradually!